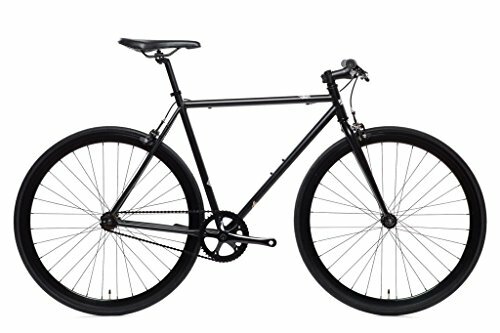 More product info From State Bicycle Co.
1 of the 2 reviewers has only reviewed this product. This is an excessively large percentage of One-Hit Wonders which may indicate unnatural reviews. The ease score is the average rating for all reviews that a given reviewer submits. The average ease score for reviewers of this product is 5, while the average ease score for reviewers in this category is 4.1. While this discrepancy is rather large, it is not quite large enough to rule out the possibility of it being due random chance. We counted 2 reviews for this product over the span of 7 days, an average of 0.3 reviews per day. If these reviews were created randomly, there would be a 99.9% chance that we would see 2 or fewer reviews on any given day. We didn't find any days exceeding this threshold.